Esports is here to stay. When the athletic director at Mount Saint Charles Academy asked teacher Rick Simard if he’d coach the school’s inaugural esports team, Simard hesitated for a moment. “To be honest with you, my first thought was that’s a thing?” says Simard, a veteran teacher and hockey coach. Twenty years ago, when Simard started coaching hockey, esports, or competitive video gaming, was most definitely not a thing. Ball-based sports dominated school athletics, and video games were still predominately a private leisure activity. The first Internet-ready gaming console had been released in Japan, but online gaming had yet to reach the United States. 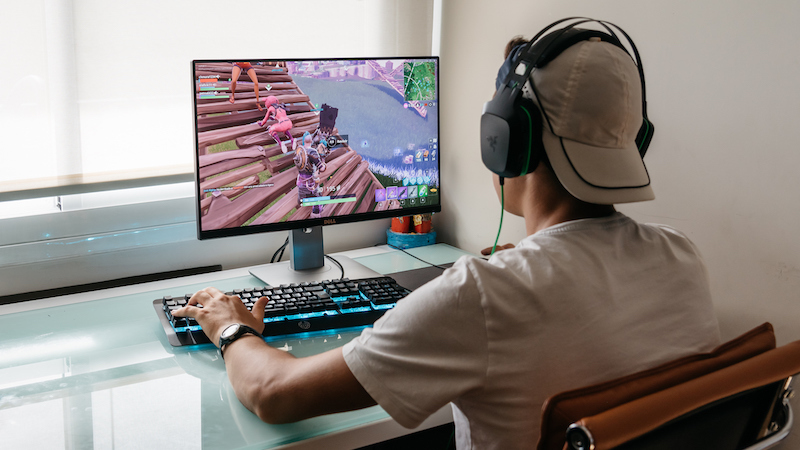 Today, Fortnite dominates the after-school hours of tweens and teens worldwide. The United States government has recognized full-time League of Legends players as professional athletes, and the esports industry is projected to generate more than $905 million in revenue globally. Approximately 80 American colleges and universities now offer esports scholarships. Competitive video gaming is gaining recognition and legitimacy at the high school level as well. In October 2018, the National Federation of State High School Associations launched its first-ever esports season. Mount Saint Charles, competed in the Rhode Island Interscholastic League Esport Championship, playing the multiplayer battle video game League of Legends in matching white and blue-pinstriped jerseys. Student involvement in school-based extracurriculars is related to increased academic achievement and the development of essential life skills, such as persistence, prioritization, and problem-solving. That’s as true for esports as it is for any other school activity, says Mark Koski, director of marketing for the National Federation of State High School Associations. 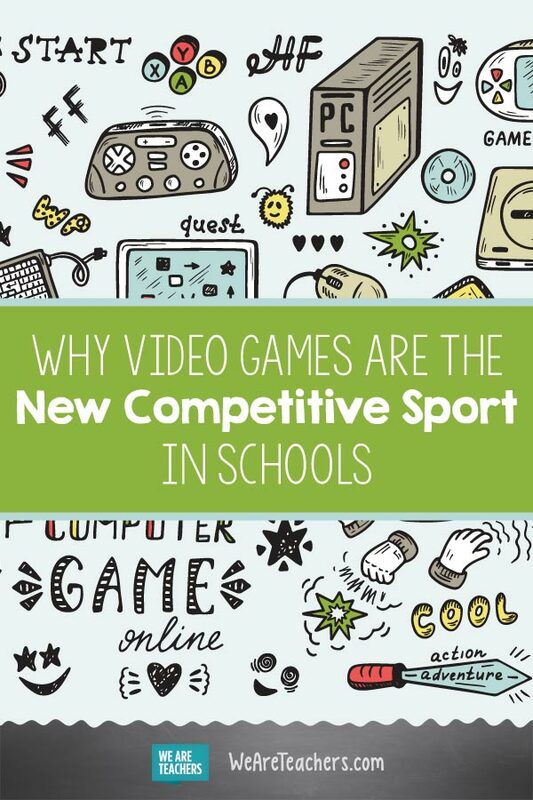 “When esports is in a school setting, players must meet the same academic requirements as other student-activity participants,” Koski says. “In our inaugural season, we’ve had some cases where students’ grade point averages have gone up.” Involvement in esports may improve behavior, too, as players must comply with their school’s code of conduct. Because esports take place in the virtual world, physical stature is not an advantage or a limitation, so students of all abilities and genders can play on the same team. Mount Saint Charles’ first esports team was composed of two girls and 14 boys, divided onto three different teams. More than 20 students have already expressed interest in joining the team next season. Esports also attract students who traditionally have few ties to the school community. “A lot of these kids come here, do their work, and go home,” says Justin Smith, a teacher and esports coach at North High School in Kern Country, California. Before esports, many spent hours unsupervised. Most schools already have the hardware necessary to compete in esports; unlike traditional sports, costs are limited. Students typically practice and play in school computer labs. The biggest hurdle schools face at the outset is technical: To prevent students from playing games during class time, most schools have firewalls in place to limit student movement on the Internet. The National Federation of State High School Associations partnered with PlayVS, a company that provides infrastructure for esports, and PlayVS employees have been instrumental in helping schools maintain digital security while supporting competitive game play. Coaches are often—but not always—technology teachers or gamers. Frequently, the students are more familiar with the game than the coach. That’s OK, Simard says. “My role is more of an organizer and maintenance person,” he says. During practices, coaches and players discuss game strategy, communication, and conflict resolution. “We work on things like not blaming others and keeping a cool head,” Smith says. Matches last about two hours. During regular play, each team is physically located at its home school. “I give the other coach a call and tell him which names to look for. His kids join the matches, and we play. It’s as simple as that,” Smith says. Championship matches are often played on a grander stage, with both teams present in the same place. Providence College hosted the Rhode Island state championship. Live game play was projected on huge screens for spectators and broadcast live on Twitch, a popular streaming service. Experts predict exponential growth for esports, with some expecting competitive video gaming to eventually displace the NFL in terms of popularity and profit. Already, schools with esports teams report high demand; each season, more students want to join. We’d love to hear—what’s your take on esports in school? Come and share in our WeAreTeachers HELPLINE group on Facebook. Plus, what students want their teachers to know about video games.